Los Angeles : Brazil is mourning its lost football players after 71 people were killed in a chartered plane crash in Colombia on Tuesday. A new footage has revealed what the players were doing in their last moments. The Brazilian players were on their way to the finals of a regional tournament, when the plane crashed and killed 76 people. The players were scheduled to play on Wednesday in the first of a two-game Copa Sudamericana final against Atletico Nacional of Medellin. According to officials, only 5 people have survived the crash near Medellin. As per confirmed details, the British Aerospace 146 short-haul plane, operated by a charter airline named LaMia, declared an emergency at 10pm local time on Monday because of an electrical failure. 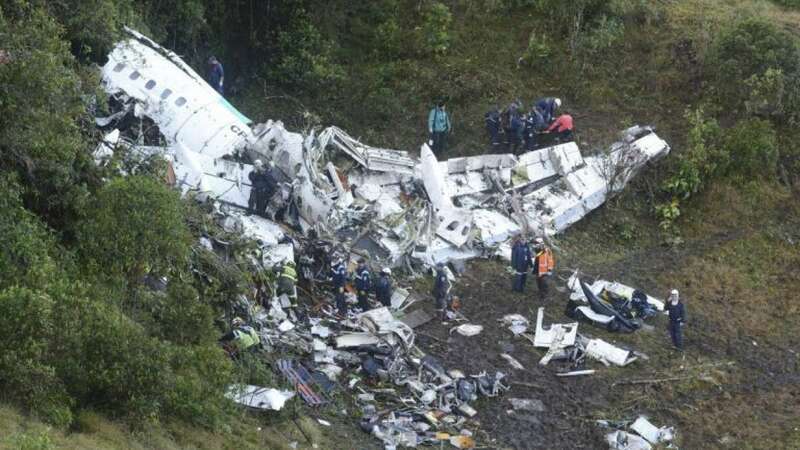 The aviation authorities further stated that the aircraft, which had departed from Santa Cruz, Bolivia, was transporting the Chapecoense team to Medellin’s Jose Maria Cordova airport.